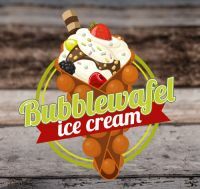 The unique freshly baked waffle is known for its bubble structure. It originated in Hong Kong and has traveled to the Netherlands via New York and London. Nic Nederland offers everything needed for a freshly baked waffle filled with the best soft ice cream, toppings and garnishments. With the smell of freshly bakes waffles, the unique fresh experience, and unlimites variety happy consumers are guaranteed.